The ICF Facebook page can be reached at: https://www.facebook.com/ieeecanadianfoundation. In Dec. 2015, IEEE Canadian Foundation awarded a one-time Special Grant to the Concordia University Unmanned Aerial Vehicle (UAV) Team for their participation in the The Unmanned Systems Canada 2016 Student Unmanned Aircraft Systems (UAS) Competition. 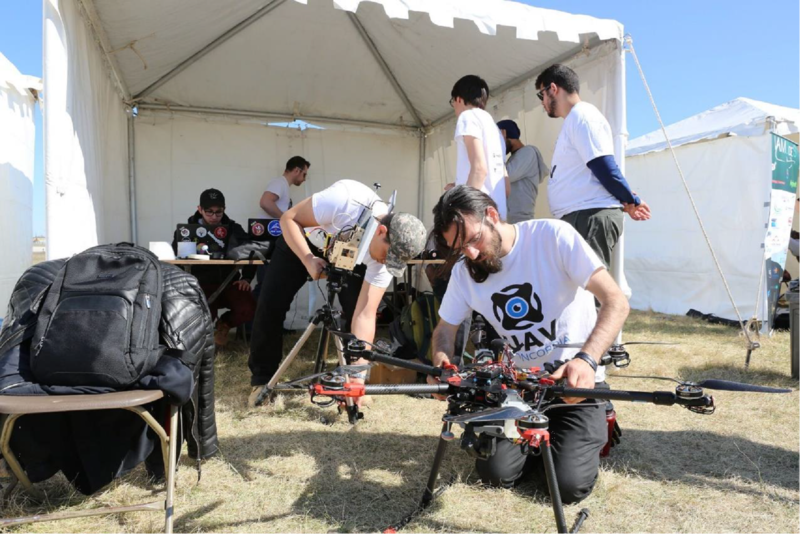 The competition purpose is to promote and develop Canadian expertise, innovation and experience in unmanned systems technologies at the university and college levels. The competition was held in Southport, Manitoba, on Apr. 28 - May 1, 2016. This year, the scenario combined problems encountered by the agriculture sector. The teams had to design, build and use their UAS to identify a local farmer's crops, their location, type and condition, and to map them with an airborne sensor system. The competition had two phases. Eighteen teams competed in the design phase, and fourteen teams competed in the operational phase. 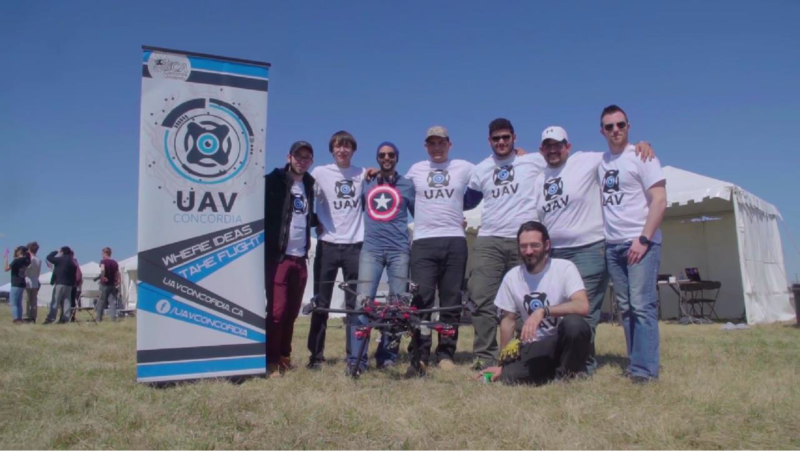 The Concordia University UAV Team was awarded the third place in the operational phase. Congratulations to all of the Team members and contributors, consisting of over 40 students from the electrical, mechanical, and software engineering. This experience will serve them well in the further development of their technical and interpersonal skills. In the words of Mark Aruja, the Chairman of Unmanned Systems Canada: "Precision Agriculture is a very rapidly growing industry where we can lead the world in developing new technologies to feed a growing population, respond to climate change and keep our agricultural sector competitive internationally. It is so gratifying to see that our future is in great hands." The IEEE Canadian Foundation, the philanthropic arm of the IEEE in Canada, is happy to accept your contributions when you renew your IEEE membership in the fall each year. Just select the IEEE Canadian Foundation as your choice when you complete your annual IEEE membership renewal form (paper or web version). Please note that this method enables you to make a contribution to the IEEE Canadian Foundation General Fund only. To make a contribution to one or more of our other funds, please consider donating online or donating by mail. If you are a Canadian IEEE Life Member and wish to participate in our Canadian Life Member Fund "Thank You" program, please view this web page.